Game SLave, my new games database for Second Life is ready to go! You can go and read about all the different games in Second Life as well as contribute by adding pages to the site, editing pages and updating information. The site is a wiki, which means that the content is created and maintained entirely by its users. I hope this will make it easy to keep the database up to date and accurate in the quickly changing ‘verse of Second Life. DarkLife on the SL homepage! Get my book from O’Reilly! Q. Won't the book get out of date? A. No, O'Reilly ebook owners get updates for free for life as the game changes and I edit the manuscript. Others can register their book at O'Reilly.com for $5. Q. Does Toady, the designer, approve? A. It was Toady who suggested O'Reilly contact me to write the book when they were looking for an author, and he wrote the foreword. He's a big fan! Q. Does Toady get a cut of profits? A. I am making donations to Toady each month based on my own royalties. Toady will also benefit from the donations brought by all the new players! 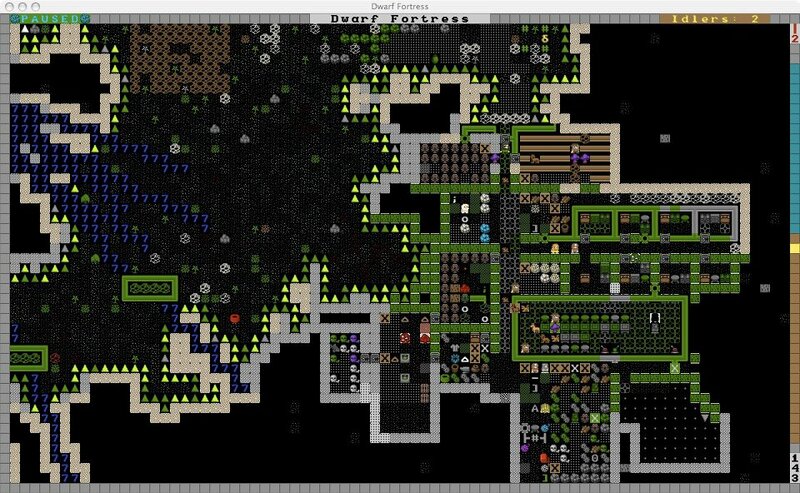 Watch my O'Reilly webcast on engineering, minecarts and design in Dwarf Fortress.